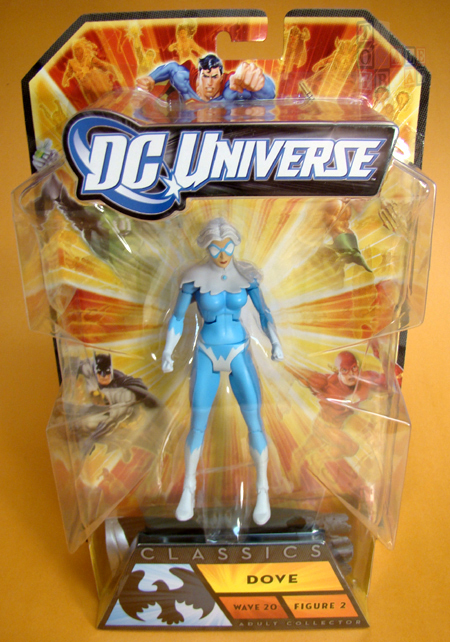 Our second reveal in the "Win What You Want" giveaway is Dove from Mattel's DC Universe Classics series 20. Hawk and Dove are the heart and soul of DCUC 20 in that Hawk comes with the upper torso of Build-a-Figure Nekron and Dove includes the lower torso - where the heart and soul are stored. The phrase of the day for Tuesday, March 6 is "A bird in the hand is worth two in the bush!" Post that phrase exactly as it appears here as a comment to this Facebook post and your entry is complete for today.